Snape POV is back in A Study In Magic! High time, too. I missed writing from his perspective. 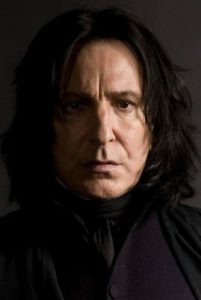 I’ve read it somewhere Snape is one of the best characters J.K. Rowling created. I agree. I don’t like him; if I ever met him in Real Life™, I’d find him too similar to me and hate his guts. But as a character, he is the most interesting. That said, it’s odd to write about werewolves from Snape’s perspective. There are so many things I wish to cover for A Study In Magic. Werewolves weren’t one of them, actually, but my fondness for Remus Lupin steered the plot that way. And the more I thought about Lupin and his struggle over Lycanthropy, the more interesting turns did my thoughts take.